Ingrid Flute’s Yorkshire Holiday Cottages has been providing holiday homes since 1970 when Ingrid had a handful of cottages advertised from her corner shop in Robin Hood’s Bay. Through a combination of local expertise and excellent service the business has grown to over 400 carefully selected properties in all the popular destinations including the Yorkshire Dales, North York Moors, Vale of York and along Yorkshire’s coast including Whitby, Scarborough and the many picturesque coastal villages and we’re well established as one of the leading holiday lettings agencies in Yorkshire. With a diverse range of accommodation including cosy cottages, elegant town houses, stunning contemporary apartments, feature-filled barn conversions and traditional farmhouses, we are sure to have a holiday home that suits you and your budget. We have offices in Whitby on the coast and Leyburn in the Dales staffed by local people who are passionate about what they do. We personally visit all our properties and ensure that they are competitively priced. We pride ourselves on our excellent customer service, and this is one of the reasons many of our customers come back to us year after year. 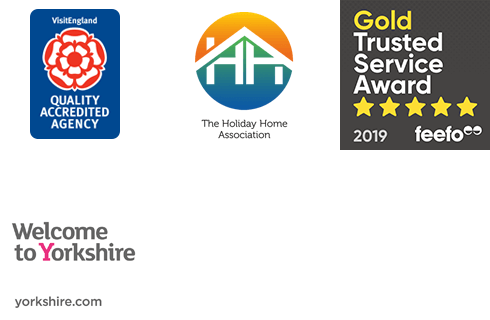 Our friendly team have great local knowledge of both the area and our properties so do give them a call if you need any help with your booking. And when you are here why not pop in and see us– we love sharing our love of Yorkshire and can provide lots of information about great days out and things to do. Ingrid Flute’s Yorkshire Holiday Cottages is one of a small group of locally focused brands owned by The Original Cottage Company Limited, which is a family owned private limited company incorporated in England (registered number 06951692) with a registered address at Bank House, Market Place, Reepham, Norwich, NR10 4JJ. VAT No. 595 2110 44.